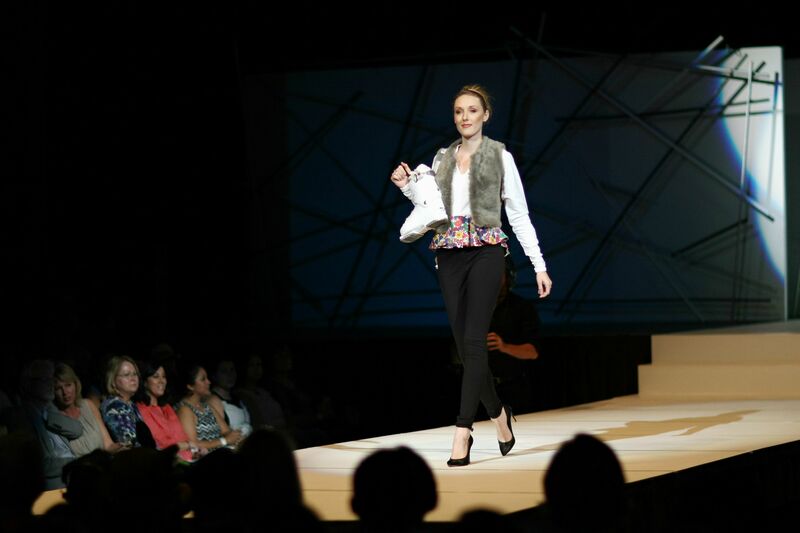 After countless sleep-deprived nights, the 24 designers showcased their work at the Frank Erwin Center on Thursday. A panel of local designers, retailers and fashion journalists judged the designs and selected winning students based off their collections and in categories including evening gowns, bridal gowns and active sportswear. Active Sportswear: Both the winner and runner-up in the active sportswear category used vibrant pops of color. Runner-up Carissa Melendez’s design featured colorful patterns under a vest and on the peplum, while winner Tina Tran designed a bright pink jacket that contrasted heavily with the outfit’s pair of black tailored pants. Bridal Gowns: Although her collection was elegant and minimalist, winner Sandy An designed a decadent wedding dress. While others chose to take risks by using unconventional colors in their dresses, An made her dress stand out with an exaggerated high-neck shawl over the dress’ sweetheart neckline. Collections: Crowd favorite Seihak Long was met with the loudest applause of the night when his collection, Golden Hour, made its debut on the runway. Looking like Greek gods and goddesses, the models wore three different styles of outfits, but the satin fabric tied them together as one cohesive collection. Long was awarded the title of Most Innovative Collection, and won runner-up for the Best Collection of 2015. Designer Shelby Smith was named winner for Best Collection with MidKnight by using shining fabric in her pieces to play off darkness and starlight. Ros Bellenger won Best Technical Collection for Stardust. Her use of sheer fabrics, cobalt blue and silver gave her collection a futuristic feel. Evening Gowns: Seihak Long also stole the spotlight in this category, capturing the audience’s attention with an elaborate white dress complemented by a golden headpiece. The runner-up was designer Shelby Smith, whose champagne and midnight blue dress flowed elegantly as the model walked down the runway.